Ritzenried. From season 2007 we can provide a new individual service for our customers: alterating seats for a higher comfort. As the alteration happens at the original seat, the customer has to send that to our company first. It is possible to choose between black an black-grey version. 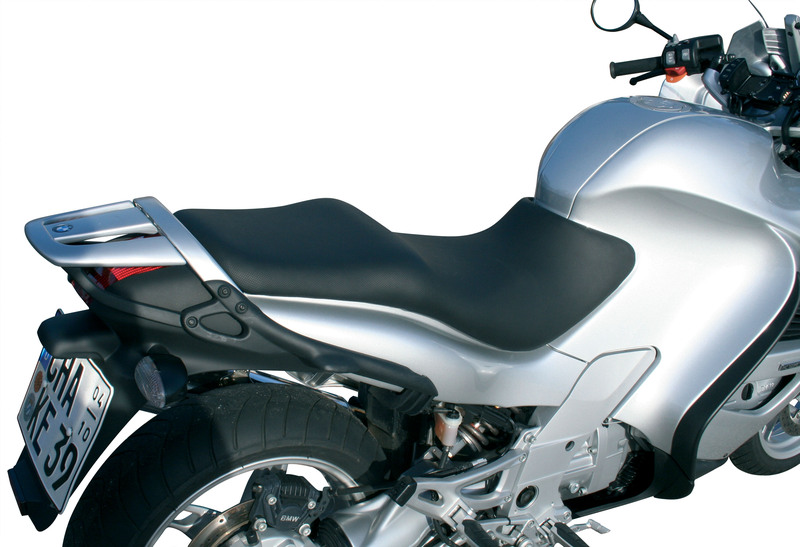 The drivers and pillion rider‘s seat are equiped with a fluting in order to release the tail bone. The seats were also broadend for about 15mm. The padding consists of two layers, the upper one comfortably soft and the lower one avoids denting. 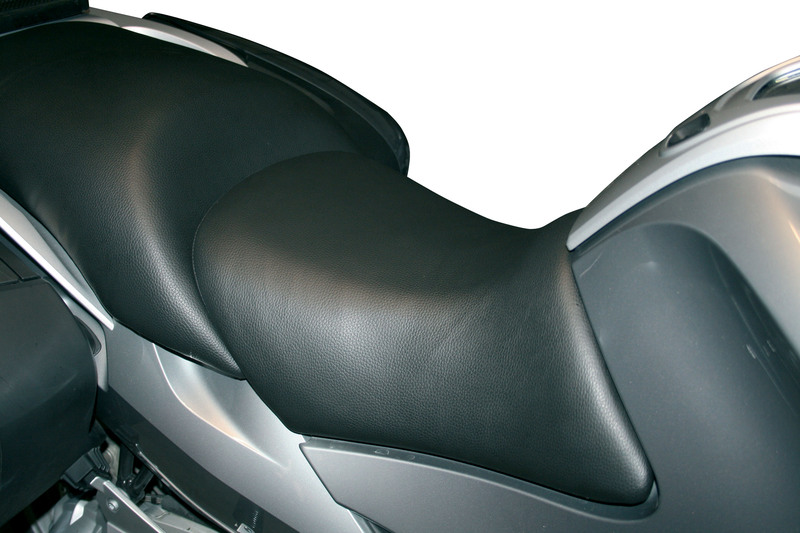 We especially took care of the pillion rider‘s comfort: Here, the seat is increased in the middle front part to inhibit a cramped position. These alterations care for a tangible comfortible riding - free from pain. Also the vexatious sliding when the driver brakes has an end now. The alteration is possible with one and two-part seats.